The release of Java SE 8 introduced significant enhancements that impact the Core Java technologies and APIs at the heart of the Java platform. Many old Java idioms are no longer required and new features like lambda expressions will increase programmer productivity, but navigating these changes can be challenging. 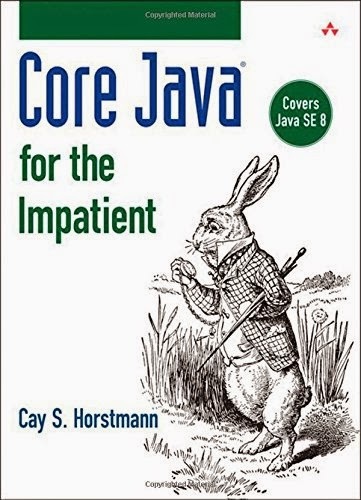 Core Java for the Impatient is a complete but concise guide to Java SE 8. Written by Cay Horstmann—the author of Java SE 8 for the Really Impatient and Core Java™, the classic, two-volume introduction to the Java language—this indispensable new tutorial offers a faster, easier pathway for learning the language and libraries. Given the size of the language and the scope of the new features introduced in Java SE 8, there’s plenty of material to cover, but it’s presented in small chunks organized for quick access and easy understanding. Whether you are just getting started with modern Java or are an experienced developer, this guide will be invaluable for anyone who wants to write tomorrow’s most robust, efficient, and secure Java code.